Richard Robert Kent passed away on February 3, 2019 at the age of 72 after a long fight with Parkinson’s disease and dementia. Richard will be sadly missed by his wife, Charmaine; his five children, Daniel, Lisa, Steven, Beth and Jared; his twelve grandchildren; as well as his many other loved ones. Richard was born in Waltham, Massachusetts, and grew up in the suburbs of Boston, until he left for college to West Point Military Academy in New York. During his senior year, he visited several military bases to decide where he would serve after graduation. While he was at Fort Sill, Oklahoma, the cadets were assigned a blind date for a military dance. Charmaine’s father was stationed at Fort Sill, and she was paired up with Richard for the dance. According to Charmaine, after she went back to Hawaii, and Richard returned to West Point, he wouldn’t leave her alone, calling and writing letters, while also taking every opportunity to visit her. After he graduated from West Point with a degree in engineering, he proposed to Charmaine, and they were married on May 10, 1969. 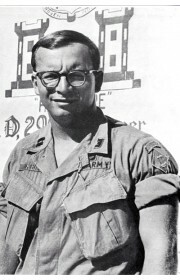 A month later, he left to serve in the Vietnam War for fifteen months. 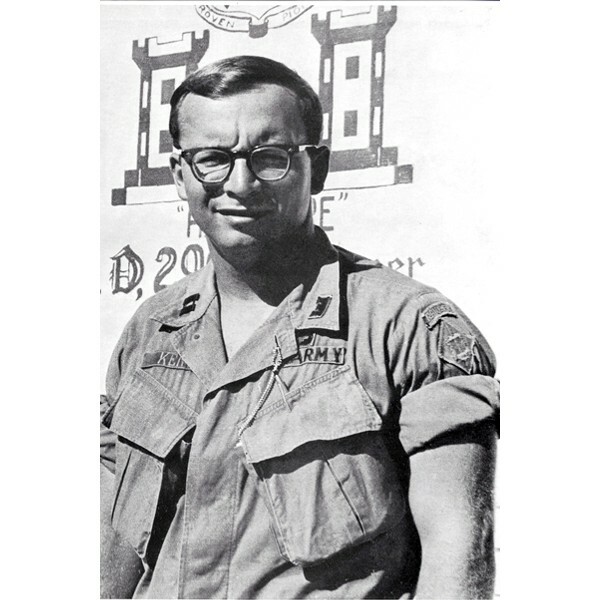 During his time in Vietnam, he served as a Company Commander, overseeing an engineering division of over one hundred soldiers. Charmaine did her best to keep herself busy, attending the University of Hawaii, working part-time, and going to church almost every day. When Richard returned, he continued to serve in the military for twelve years, reaching the rank of Major, while also earning a Master’s Degree in Nuclear Engineering at the University of Missouri and an MBA at Lincoln University. He spent the rest of his career working as a project manager for the Nuclear Divisions at Westinghouse, ABB and Enercon. While he enjoyed his time as a Nuclear Engineer, he found his greatest love and happiness through his family and faith in Jesus Christ. Richard and Charmaine were baptized in the Church of Jesus Christ of Latter-day Saints in 1975. Richard served faithfully in the Church for the rest of his life. He always encouraged his children to understand the Gospel of Jesus Christ and live a selfless, compassionate life. His children will remember him for the example he set, as he strove to live righteously, with his wife and children at the center of his life, never sacrificing his time with them to pursue his own interests or advance his career. Choosing them before anything else was never a second thought for him. When he came home from work, he made sure that their needs were met, but he saw his role as much more than that. He took it upon himself to give them the special attention he believed was crucial to help them succeed in life. As he encouraged his children to be active in school, sports and other activities, he was often their coach and mentor. When he couldn’t be their coach or mentor, he was always seen on the sidelines or at the back of a performance with his bulky VHS recorder capturing hours and hours of video. While most of those videos were too long and too boring to watch more than once, his children will forever be grateful for the care and concern he gave to each of them. Richard’s love and compassion will sorely be missed by his family and friends. The life that he lived will endure as one of the greatest examples and blessings that ever touched their lives. Richard will be given a U.S. Veteran’s Burial at the Georgia National Cemetery, 5580 Knox Bridge Hwy, Canton, GA 30114 at 9:00 a.m. on Thursday, February 7, 2019. 2 Comments To "Richard Robert Kent"